Iron plays a fundamental role in our everyday health by carrying oxygen to the cells around our body. Taking Vitamin C with any Iron supplement can greatly enhance your body’s absorption and use of Iron. Iron is an essential mineral which performs many important roles in the body. Dicalcium Phosphate, Microcrystalline Cellulose, Ferrous Fumarate, Polyvinyl Pyrrolidone, Cross-linked Carboxy Methyl Cellulose, Hydroxy Propyl Methyl Cellulose, Magnesium Stearate, Silicon Dioxide, Titanium Dioxide, Talc, Propylene Glycol, Colour: Red Iron Oxide, Colour: Yellow Iron Oxide, Colour: Black Iron Oxide. Food supplements should not be used as a substitute for a varied diet. If pregnant, breast feeding or on medication, consult your doctor before taking this product. Do not exceed recommended dose. This product contains Iron, which, if taken in excess, may be harmful to very young children. Store in a cool dry place and out of the reach of children. I take iron for immunity and as a woman i feel that it would be beneficial. This is a great price for 360 tablets no where else does it cheaper. It is also the needed daily dose for women i have already told family and friends about Select Healthy, shame you don't do family discounts. great price for great product, i have to take iron daily for personal issues and these came swiftly and are easy to order. My doctor recommended iron supplements as i tend to loose alot of blood on a monthly basis. These are a good price and a good dose to take daily without any side effects. I was recommended iron supplements after i had my first child, my iron was low and i suffered from headaches and regular dizzy spells, which was all down to low iron. I take it now as a matter of course and have had not had any more problems. I give blood on a regular basis, last month i was informed that my iron count was low and that i should eat more iron rich foods or consider a supplement. I already use Select's Cod liver oil and so was pleasantly surprised to see that they now sell iron. Iron will now be part of my normal order aswell as vit c as i was also advised to take this at the same time, apparently it helps your body to better absorb the iron. I have been purchasing my supplements from you for a while now, but iron i had to buy from my local high street as you didn't used to sell it. Now that you do i am over the moon as i can now buy all my supplements from you, you sell your iron for a better price too. 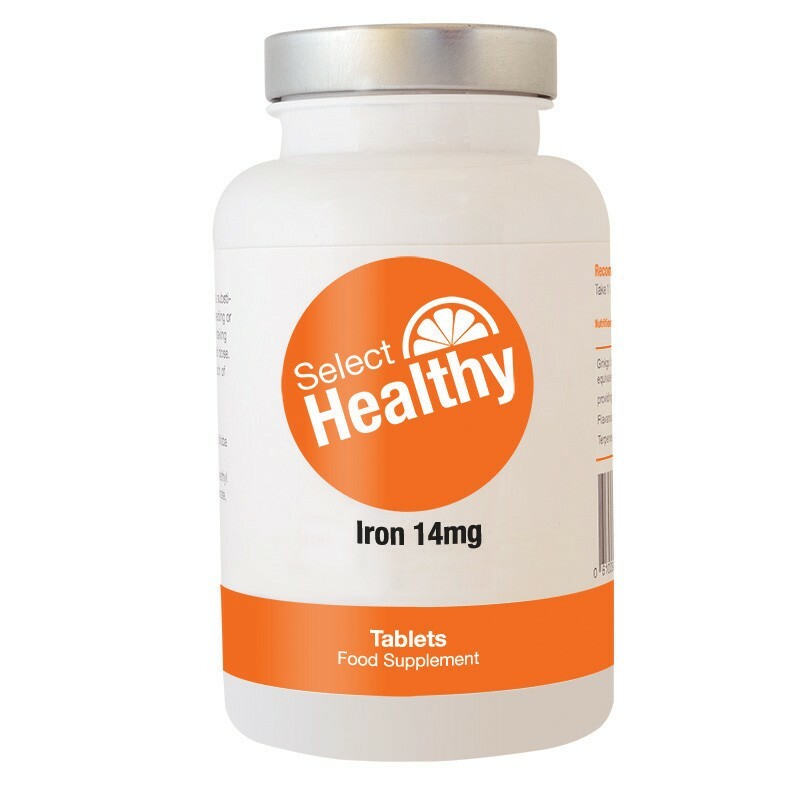 It's great to see that Select Healthy are now selling iron, i have been taking iron for a few years now due to heavy periods. If i don't take it i am lethargic and generally feel awful. I have been a happy Select customer for about a year now, their supplements cannot be beaten in my opinion. Although i cannot comment on the quality of their iron( as i have only just ordered it) the other supplements that i use are good quality and great value.